Both posApps Digital Receipt and posApps Pay are wrapped into our Plugin Manager. posApps plugins are designed to extend uniCenta oPOS in such a way that keeps everything as lean as possible. Using our Plugin Manager does away with the need to keep adding more and more unnecessary or little used functionality to your POS system. Our plugin uses the next generation of card payment devices and payment services by using secure pre-certified PCI/EMV compliant terminals and Cloud Payment Gateways. Heard about the Liability Shift? A big shift is coming your way if you are USA merchant. Not adhering to the PCI regulations from 1 Feb 2018 puts you and your business at a big risk. Simply put any card transaction from a swiped card means you suffer the entire loss, retention and may suffer hefty penalties from your provider. It was the looming 2018 deadline which spurred us on to deliver a solution in good time for merchants to adopt and adapt. And, do it quickly. uniCenta oPOS users in USA, Canada and Mexico can now accept secure Chip and PIN card payments using our posApps Plugin. 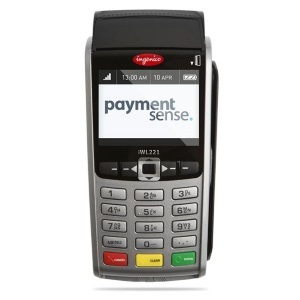 It is built around the next generation of card payment terminals and payment services. Using secure pre-certified PCI/EMV L2 compliant terminals and gateway means your PCI compliancy risk is reduced to the absolute minimum. Using PaymentSense’s latest connect™ technology our posApps plugin completely does away with the need to have card processing software installed on your POS machine. Reducing the burden of implementing PCI compliance and risk. 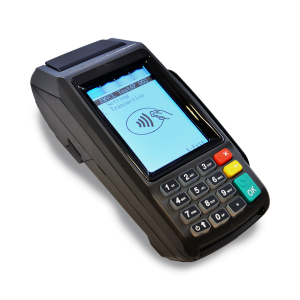 Amazingly too, is that one card payment terminal can be used by any other POS machine in your store or restaurant and vice versa.